Mangia Me's focal point is to deliver affordable, healthy and fresh Italian food made with love. 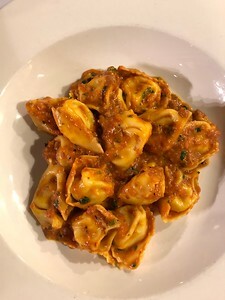 Ingredients are made fresh everyday from sauces to homemade pasta. We are associated with Perche' No pasta E Vino restaurant by green lake. Hello Bellevue friends! Come visit us at Barnes and noble today from 11-2pm! Ciao! Hello Bellevue friends. Find us at Barnes and Noble today from 11-2pm. Ciao! Catch us for lunch today at Starbucks HQ from 11-2pm! Ciao! It’s Friday! Catch us before the weekend at 6th and Olive today from 11-2pm! Ciao! Happy Thursday! Find us today at 112th Occidental Ave S from 11-2pm! Ciao! We’re back! Visit us at Terry and Thomas today from 11-2pm. Ciao! Last day to catch us before our break at Terry and Thomas in SLU from 11-2pm. Ciao! Happy Monday! Join us today at Starbucks HQ from 11-2pm. Ciao! It’s Friday! Join us before the weekend at 6th and Olive today from 11-2pm. Ciao! Find us today at plaza east in Bellevue today from 11-2pm! Ciao! Join us for lunch today at terry and Thomas from 11-2pm. Ciao! 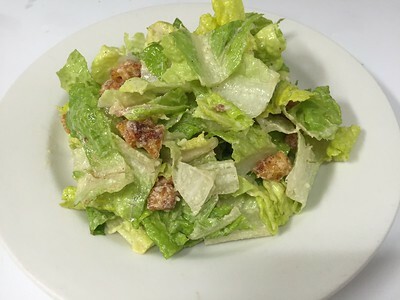 Romaine lettuce with homemade caesar dressing, croutons, parmesan cheese, garlic and anchovy paste. 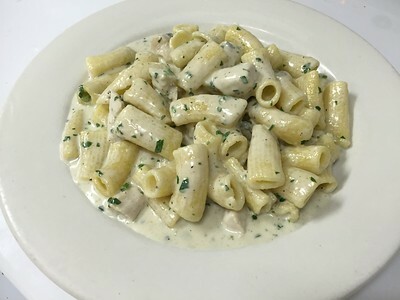 Homemade rigatoni with diced free-range organic chicken in a creamy gorgonzola sauce. 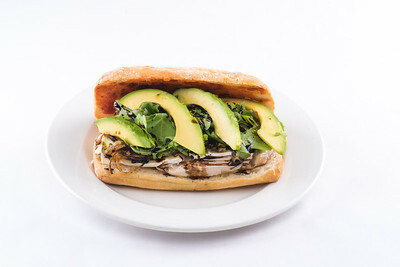 Grilled, marinated free-range chicken breast with brie, caramelized onions, arugula, balsamic reduction, sun-dried tomato pesto and avocado on a toasted ciabatta bread. 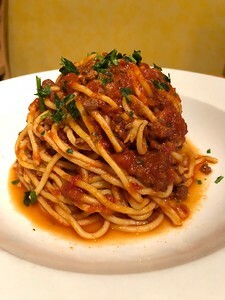 Homemade Spaghetti pasta and marinara sauce served with Italian sausage topped with basil and parmesan cheese. 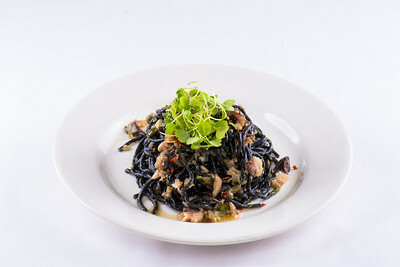 Black squid ink pasta with sardines, garlic, capers, and chilli flakes sauteed in olive oil with parmesan cheese. 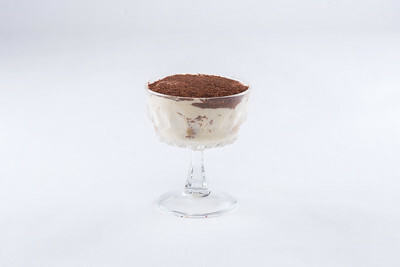 Layered mascarpone and Belgian dark chocolate with lady fingers soaked in rum and espresso. 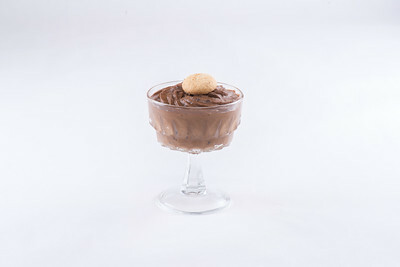 Whipped Belgian dark chocolate with amaretto liquor. 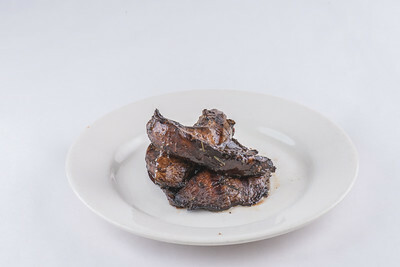 For pick up at our Cook House, please order at least 72 hours in advance. Minimum for pick up catering orders: 12 people. For deliveries within Seattle limits, the minimum will be 30 people. There will be a service fee. For deliveries outside of Seattle, please contact us directly. All delivery or pick up orders must be paid at the time of ordering. For all events held Monday through Thursday there will be a standard minimum rate, while events Friday through Sunday will be more. During the holiday season, Friday and Saturday events minimum will be higher. All menu prices are subject to optional gratuity and applicable Washington state sales tax. Food can be picked up at our kitchen, or delivered to the location of your choice. Food will be packaged in disposable containers that are priced at $4.00 each. Delivery charges begin at $100.00 within Seattle area. If it is outside of Seattle, there will be an additional cost. These charges are subject to applicable Washington state sales tax. Payment deposit is 50% of the estimated charges is necessary to confirm the catering contract. The remainder of the fees and any adjustments in prices can be paid the end of the event. If you require our service at the event, the client shall obtain a Banquet Permit or Special Occasions License and provide caterer with a copy by one week prior to the event, unless it is in a private venue.